Poll: Which jacket should Cords get to match her pink pants! Feel free to answer neither, as well! And also feel free to write why you wrote what you wrote! I am leaning towards one of the options at present, but I shall keep my opinion a secret for now. Not that the other option looks bad, but the Green & White will go with a lot more combinations if/when ya need new dacks!!!!! I voted the one on the right. Pink goes with pink right? 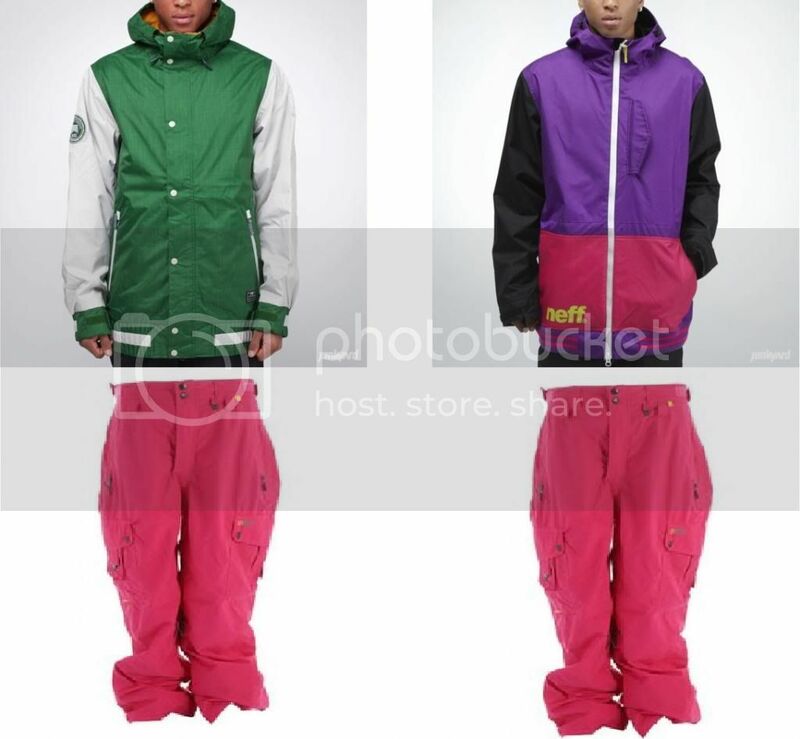 Id wear the pink neff one!!! ok so a bit of an update…I saw the green/white one in a shop yesterday and the green is too dark for my bright pink pants. Now I have another contender. I like the purple/black/pink one but I have pink pants and pink goggles already so it feels like a bit of pink overload. So what do you think of this new ‘other’ option? black n blue one is a winner. The blue one is awesome, looks good with the pink pants! 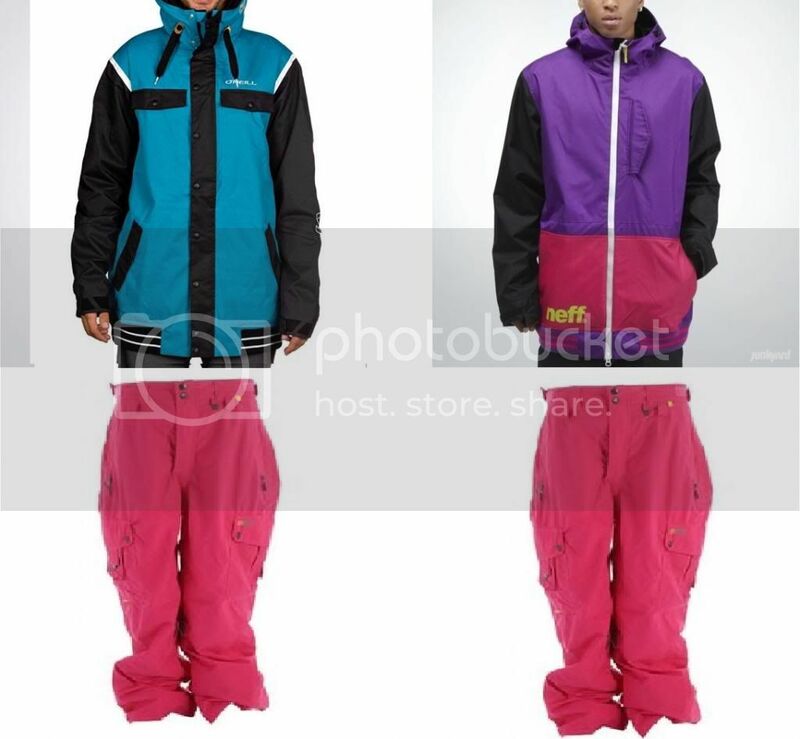 I like the blue one as well now, I reckon because you have pink pants and goggles I’d go for the blue one. I am a lil bit late to reply here, I like the blue one, I think it’s a ski Bum brand because once I saw it on Coupons for the Ski Bum, the dress was similar like their stuff but a lil bit different in color. Do you want the same color dress? If in future you need stuff like these must check there. Jones Twin Sister or Mountain Twin or something else?